Outsource2india has skilled researchers who have domain expertise in desk and web research. We understand that quality and accuracy of information are of utmost importance, which is why we adhere to stringent quality standards. Our online research services involve the extensive search of both offline and online research sources like databases. Online research is primarily conducted through secondary research methods. Secondary research involves the analysis of information that has already been collected for a different purpose. The sources of secondary research are usually statistical data, demographic data, newspaper, magazine, articles, or research papers etc. At Outsource2india, our web research professionals extensively use the internet to access secondary data sources, as most articles, data or press releases are available online. Our online research professionals then evaluate your political, social, economic factors. We can also conduct an assessment of your competitors and analyze your target markets. 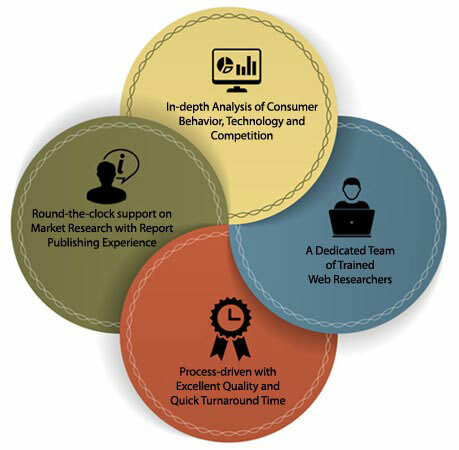 Read more about the secondary research methods used at Outsource2india. What are the benefits of outsourcing online research to O2I? Let's get started. Outsource online research services to O2I now, and join our 11190 happy customers!